One of the best things a person can do at any age is to adopt a dog. Dogs can provide a tremendous amount of love and joy, and are a great way to overcome loneliness or boredom, which sometimes can affect seniors in their retirement. There are so many different breeds that sometimes it can be difficult to decide which dog is best for you. Seniors need to think about how much exercise certain types of dogs need, and whether they can provide it. Owning a pet has it's pros and cons, and you have to really think what type of pet, whether a cat or dog, and what type of breed is right for you. For example, you have to factor in if you will have the time and energy for a larger dog, or whether a small lap dog is more your speed. There are an almost infinite amount of sizes and temperaments when it comes to dogs. If you do choose to adopt a furry friend, they quickly become a loving and wonderful addition to any family. The short-faced pug is both gentle and quiet. But don’t let their laid-back nature fool you. These compact dogs have a lot of personality! They don’t need tons of exercise, but they love being social and definitely need to be a part of the group. 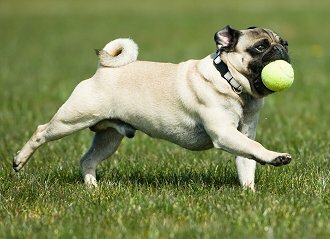 Pugs are known as adaptable, charming, and eager to please — affectionate and playful without requiring a lot of exercise to maintain their health. They are small, so they generally meet the size requirements of assisted living communities. They can be a bit mischievous, and they tend to shed quite a bit, especially in warmer climates. Independent spirit, intelligent, affectionate, bold and lively. They are bright little dogs that are easy to train and love everyone. They need people to be happy and always love to tag along. They are competitive and obedient. The fluffy little Bichon Frise is a joyful and affectionate dog that makes an excellent companion. With an average weight of about 7-12 pounds, this small breed is extremely easy to handle for most people. Bichons are also relatively simple to train. The Bichon will need to be groomed periodically but is otherwise fairly low-maintenance. 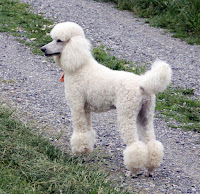 Many Bichon owners choose to take their dogs to a professional groomer every month or two. 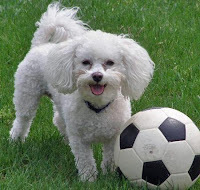 Moderate daily exercise is usually enough to keep the Bichon healthy and happy as long as he has your companionship. 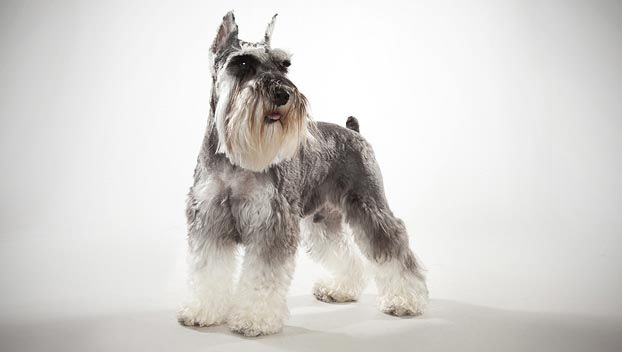 Schnauzers come in various sizes, including miniature, so they offer a lot of choice to a senior trying to meet a community’s pet size requirements. They are energetic, playful, trainable, and good with children, although they can have strong guarding instincts. They can be quite active; the AKC notes that they have a medium energy level, so playtime with your schnauzer can help keep you active as well. Miniature Schnauzers are the smallest of the Schnauzers and they are intelligent, fun-loving dogs that are a great choice for a more active lifestyle. They are the perfect choice for an older individual looking to maintain a relatively active lifestyle, as they enjoy exercise but not so much as a larger breed. Beagles are moderately active dogs that can do well with a daily walk. They are social dogs that enjoy spending time with their people and make an excellent choice for someone older looking for a companion. 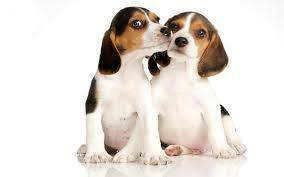 Beagles are cute (think Snoopy), funny, loyal, and friendly, enjoying the company of other dogs and humans. They love to play and are excellent family dogs. They can also be independent, which may make training a challenge, and they do need plenty of exercise – which is great for fitness-minded seniors. They shed a lot, but their coat is relatively easy to care for with regular brushing. If you live in a small assisted living apartment, why not consider one of the smallest dogs there is?Chihuahuas make a great choice for seniors because they are relatively low maintenance and small enough to be easily handled. They require minimal exercise and are perfectly happy being lapdogs. Chihuahuas have a ton of personality for their size, and love being showered with affection; on the flip side, they are so loyal and protective that they might need a bit of training before dealing with children, and some Chihuahuas bark a lot. They can be active, but being small, they can often get sufficient exercise by playing indoors. Another dog bred for companionship, the Cavalier King Charles Spaniel is a great option if you want a dog that is as happy to snuggle in your lap as they are to be out exploring with you. They’re also great family dogs, and love nothing more than to be the center of attention. 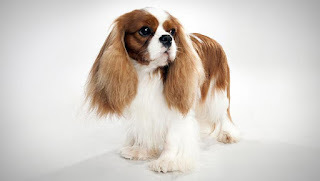 The Cavalier is a beloved puppy-like dog that is affectionate and adaptable. This is a small dog that is often happiest when snuggled up beside her owner. 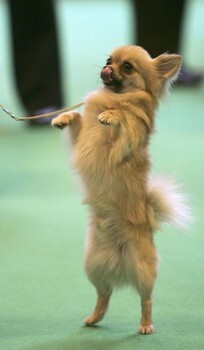 This breed typically weighs about 11 to 18 pounds and is easy to handle and train. The Cavalier has some grooming needs, such as regular hair brushing, ear cleaning, and possibly the occasional trip to a groomer. Overall, Cavaliers are favored among those who love small, snuggle companions. 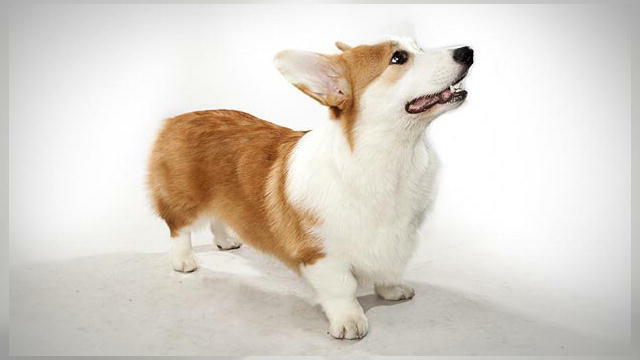 If you want a small to medium dog that makes a great companion, the Corgi might be for you. Weight 24 to 30 pounds, this breed is still small enough for most people to handle. Corgis are smart and fairly easy to train. They are also quite adorable with those short little legs! A herding dog by nature, your Corgi will need routine exercise, but daily walks will often be enough. The Corgi has minimal grooming needs, which can be very convenient. The spunky corgi is the perfect companion for an active senior. Compact in size, this herding breed has the energy of larger dogs, but in a more manageable package. They’re the favored companions of Queen Elizabeth and are a loving—albeit stubborn!—breed. 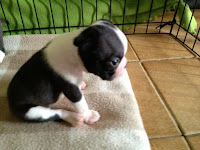 The Boston Terrier is a loving, gentle and clownish breed with an endearing personality. They make a great choice for seniors because of their outstanding temperaments and easy keeping. Boston Terriers often make the list of top dogs for seniors because of their manageable size, friendliness, ease of grooming, and love of spending time with their owners. 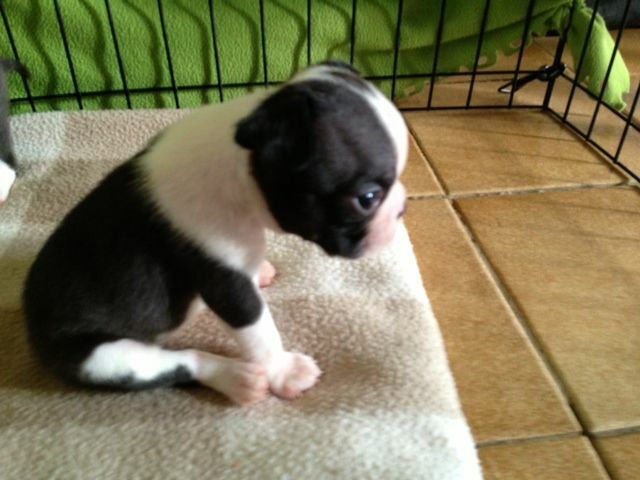 Known as the American Gentleman, the Boston Terrier is lively, smart, and affectionate with a gentle, even temperament. They can, however, be stubborn, so persistence and consistency are definite musts when training. Poodles are great companions. They’re easy to train, devoted to their families, and a low-shedding breed (though they still need to be groomed). Coming in different sizes from large to tiny, there’s a poodle out there for everyone, even if you live in a small apartment. 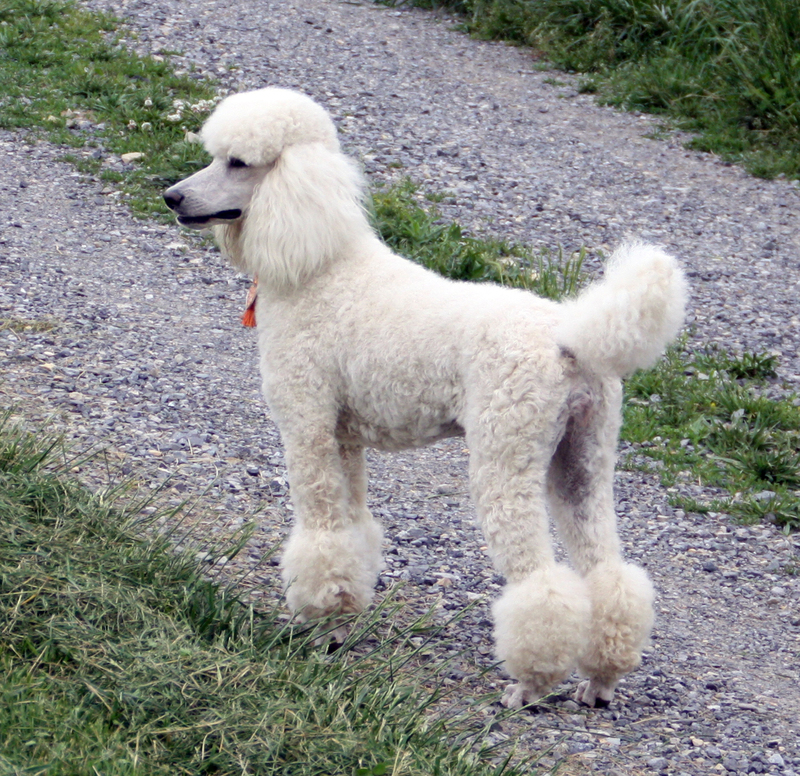 Smart, proud, and active according to the AKC, it’s no surprise that poodles are the 7th most popular breed overall. They’re easily trained and enjoy a variety of activities, which makes them very adaptable to different-sized living situations. Their coats require regular grooming, but they are also hypo-allergenic. The biggest dog on our list best dog breeds for seniors is also the laziest. Retired racing greyhounds are a great option for seniors because they are huge couch potatoes. If you adopt a greyhound from the track, you’re also getting a furry friend who has seen a lot and is well socialized. How can a racing dog be good for older adults? 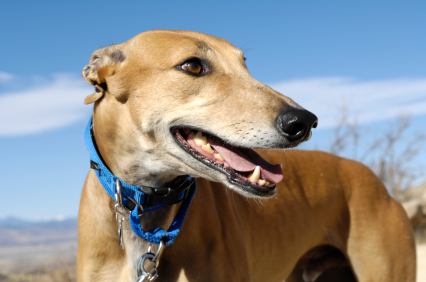 You may be surprised to learn that Greyhounds are not the high-energy dogs many think they are. Although Greyhounds will enjoy daily walks and the occasional chance to run, most tend to be "couch potatoes" that enjoy loafing around with their owners. They are usually very responsive to training and therefore easy to handle, even though most weight about 60 to 80 pounds. If you like larger dogs but worry about being able to handle one, the Greyhound is a breed to consider.